Our Data Management Policy is to be read in conjunction with our full terms and conditions which can be found here. The material on this site is protected by copyright under the laws of Australia and other countries through international treaties. Unless otherwise indicated and except for information directly from or links to third party websites, all rights (including copyright) in all content, other material and compilations contained in, or used to create or support this site including text, graphics, logos, button icons, video images, audio clips and navigational and other software (collectively referred to as the Contents) are owned or controlled, and are reserved by The Wine Loop and The Wine Loop related companies, affiliates, licensors and licensees. This site may contain information from or hyperlinks and other pointers to internet websites operated by third parties (‘linked sites’). Such information or websites are not under the control of The Wine Loop and The Wine Loop is not responsible for the contents of any such information or website. 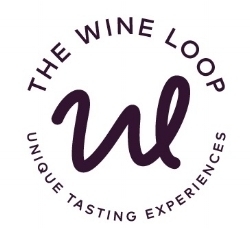 The Wine Loop provides such information and hyperlinks to you as convenience only, and the inclusion of any link does not imply any endorsement of the linked website by The Wine Loop. You rely on such information or websites entirely at your own risk. You are referred to the relevant third party websites for all information regarding the third parties’ products and/or services notwithstanding any summary of such information found on this website. Third parties are solely responsible to you, subject to their conditions, for all issues relating to their website including information, goods, services, prices and the delivery of any goods or services you purchase on the third party websites. a. using this site as a shopping resource, provided that you do not modify the site and that The Wine Loop retain all copyright and other proprietary notices contained in its contents. b. you must not, without our prior written permission, exploit any of our site materials for commercial purposes or other purposes that are not expressly permitted under these T&C’s. You are not authorised, without the prior written permission of The Wine Loop and any other owner of rights in content that you access via the site, to reproduce, frame, download, store (in any medium), communicate, show or play in public including by uploading or reposting any of the site’s content to any other site on the world wide web (‘WWW’), adapt, change, or create a derivative work from that content. No trademark (whether registered or otherwise) that is contained on this site or otherwise used by The Wine Loop may be used without our prior, specific, written permission or that of the trademark owner. You grant The Wine Loop an irrevocable, non-exclusive licence to use any material, information and ideas that you transmit to this site or otherwise provide to The Wine Loop from the time you authorise it to be sent. You agree that we can use and adapt any ideas, concepts, techniques, words, images or other content contained in these transmissions for any purpose and without restriction or compensation. f. breaches any standards, content requirements or codes promulgated by any relevant authority, including authorities that require The Wine Loop to take remedial action under any applicable industry code. 6.2 You agree to take responsibility for the safekeeping of your log in details, user name and password. You are liable if your user name or password is used by an unauthorised person. You agree to release and indemnify The Wine Loop in connection with any such use (whether authorised or unauthorised of your user name or password). 7.2 You agree to accept the full cost of any necessary repair, correction and maintenance of any of your computer software or hardware, which may be necessary as a direct or indirect consequence of you accessing this website. 7.3 By using this website, you agree that the exclusions and limitations of liability set out in these T&C’s are reasonable and necessary. 8.1 The Wine Loop is providing this site and the Wine Loop’s contents on an 'as is' basis and use of this site is at your own risk. The Wine Loop and The Wine Loop related companies, affiliates, licensors or licensees, and their respective directors, officers, employees or agents make no representation or warranty as to the accuracy, completeness, currency or reliability of the information contained on this site (including in relation to any products or services) or any linked sites. To the extent permitted by law, including any non-excusable statutory obligations, we will not be liable or responsible in any way (including in negligence) for errors in, or omissions from, the information contained on this site and the services which may be supplied to you as a result of your use of this site. To the extent permitted by law, the Supplier expressly disclaims all warranties of any kind, whether express or implied, including (without limitation) implied warranties or conditions of reliability, suitability, merchantability or fitness for purpose. 8.3 Information provided by us is general in nature and does not take into account your financial or other situation and needs. Before acting on any information contained on this site or otherwise provided by us, you must consider whether any such action is appropriate for you. 8.4 The presence of a preferred partner on our site does not constitute an endorsement by us of the provider, the content of their website or other information provided by them, or the activities they engage in. 9.2 Further information on privacy legal requirements can be obtained from the Australian Information Commissioner at www.oaic.gov.au or phone 1300 359 779. 9.3 If you or someone you know wishes to use our website but needs assistance to do so please contact us by phone on Nicole 0437728568 or Karen on 0438 729255 or by emailing us at Karen at karen@thewineloop.com.au or Nicole at nicole@thewineloop.com.au or by writing in to 263 Edward Street, Brunswick East VIC 3057. We will do our best to make your use of the site easier.